The new 310 platform from BMW comprises 3 bikes built to suit 3 types of riders. While the BMW stable offers the naked street bike G 310 R and the off-road ready G 310 GS, a fair racer is offered with a TVS badge and is called the Apache RR 310. While the TVS is a brilliant bike and offers the quality and finesse of a BMW at a much more affordable price tag, it is not a BMW. 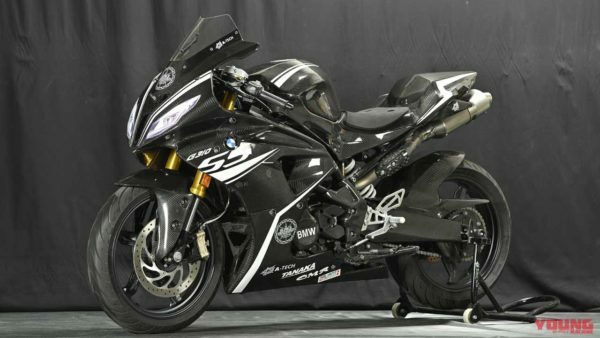 A race-ready G 310 RR by BMW was showcased at the BMW Motorrad days in Japan which may have inspired Young machine magazine to design a realistic render of the bike. With the help of parts making company, Aetek, they have now made a fully functional bike out of this concept and they are calling it the G 310 SS. It is interesting to note that all these changes are essentially a bolt-on accessory for the G 310 street bike. That means that it is a completely reversible process and you can get your street bike back once you are done with racing the bike. All the panels are moulded from the lightest material known to man, carbon fibre. The concept showcased asymmetric headlights borrowed from the S1000 RR. Not too long back, the S1000 RR received a facelift and no more uses the asymmetric design which is also followed by this smaller sibling. Another engineering highlight of this bikes is the introduction of a ram air intake in the front, which increases the air flow to the engine. 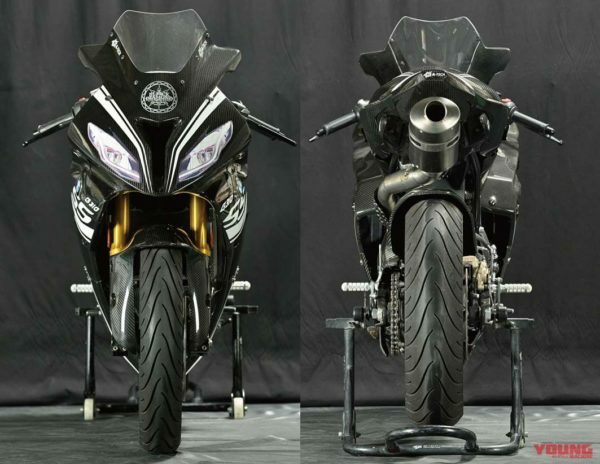 There also is a new exhaust system which pushes exhaust gases out of the engine through an end can located below the seat, reminding us of old superbikes which would carry this style. Aetek may also sell individual parts as well, for those who want there G 310 R to stand out but without converting it into a race machine. What do you think about this design? Let us know in the comments.